Visitation will be held from 2-4 PM, Sunday, at Ferguson Funeral Home, 202 E. Main St. (St. Rt. 161 W) Plain City. Funeral service will be held 11 AM, Monday February 11, 2019 at St. Paul Lutheran Church, 7960 St. Rt. 38, Milford Center, Ohio with Rev. Paul Schlueter officiating. Burial St. Paul Cemetery. 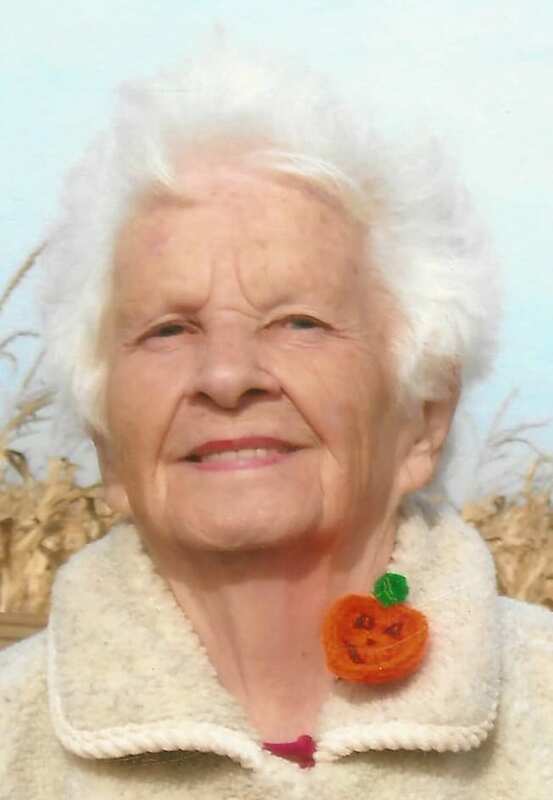 Idella W. Eickhoff, 93 of Marysville, passed away Thursday, February 07, 2019 at Prestige Gardens of Marysville. Born July 30, 1925 in Austin, Minnesota. Idella was a WW II Navy WAC veteran. She started out as waitress and as the family grew she became a homemaker for her children and supported her husband on the farm in Minnesota. She continued to support her husband as a teacher’s wife as they moved to Chuckery, Ohio in 1971. She took great pride in being a Grandma to 7 wonderful grandchildren and 12 great-grandchildren. She also volunteered for the Memorial Meals Program and was a Poll worker for Union County for many years. Preceded in death by her parents, Clarence & Minnie (Barth) Kraby; husband, Max Eickhoff , whom she married June 1, 1952 in Austin, MN and he died September 11, 1987; siblings and in-laws: Curt (Jean) Kraby, Herb Kraby, Earl Kraby and Lila Kalstabakken. She is survived by loving children: John (Susan) Eickhoff, Joel Eickhoff, Jeanne (Curtis) Wright; grandchildren: Zachary (Niki) Eickhoff, Jared (Michelle) Eickhoff, Jacob (Julia) Eickhoff, Seth Eickhoff, Caleb Eickhoff, David (Kristina) Wright and Tiffany Wright; great grandchildren: Rose, Jaeden, Caroline, Brianne, Jared II, Joseph, Samantha, Alexis, Keegan, Kellan, Sydney and Emma; brothers & sisters- in-law: Myron Kalstabakken of Las Vegas, Jerilyn (Rev. Theodore) Mueller of Santa Rosa, CA, Colleen (Harlan) Jacobson of Kasson, MN, Alice Kraby of St. Paul, MN; many nieces and nephews. Visitation will be held from 2-4 PM, Sunday, at Ferguson Funeral Home, 202 E. Main St. (St. Rt. 161 W) Plain City. Funeral service will be held 11 AM, Monday February 11, 2019 at St. Paul Lutheran Church, 7960 St. Rt. 38, Milford Center, Ohio with Rev. Paul Schlueter officiating. Burial St. Paul Cemetery. Memorial contributions may be made to the Heartland Hospice, 685 Delaware Ave., Suite 300, Marion, OH 43302 or Memorial Meals, 500 London, Ave., Marysville, OH 43040. What an incredible life she lived, 93 years! That’s something to be proud of in itself. It’s sad that she’s gone but I know you’re glad she’s no longer in pain. May time help heal your hearts!